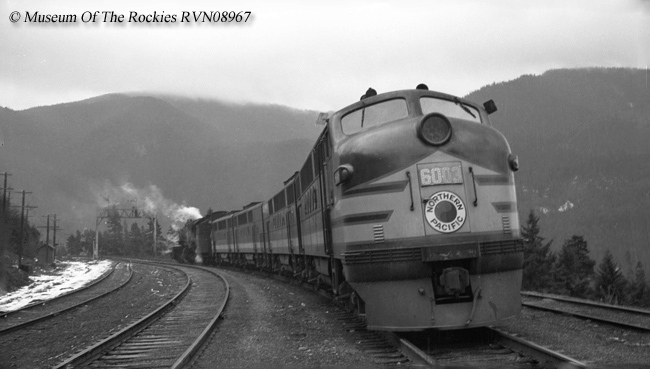 The Northern Pacific's Stampede Pass was the railroad's crossing of the Cascade Mountains in western Washington State. It was the first railroad to do so while there would eventually be three major main line crossing the Cascades, the two others owned by the Great Northern and Milwaukee Road passed to north of Stampede. The line operated as a through route until after the merger of the Burlington Northern in 1970, which shutdown the route in the 1980s. It was subsequently reopened by successor BNSF Railway in the 1990s to alleviate growing congestion and while it has never reached capacity levels envisioned the line remains an important artery today. The Northern Pacific Railway was the first of the three major Northwestern railroads to begin construction. Unlike many other railroads the Northern Pacific did not change names numerous times throughout its existence and would likewise never acquire numerous other smaller roads to form its system. Perhaps what the railroad is best remembered for is its Ying Yang herald and its distinguished flagship passenger train, the North Coast Limited, which used a beautiful two-tone green livery. 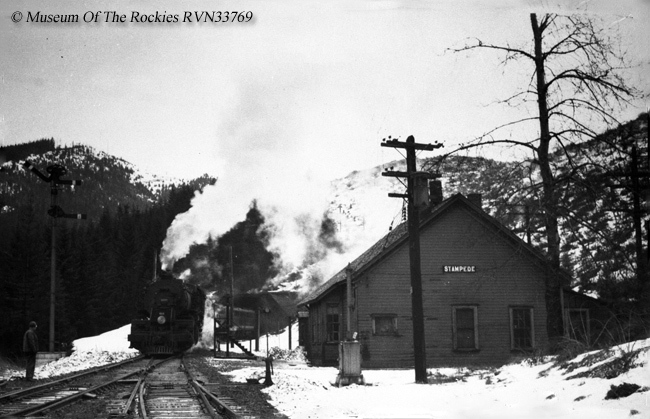 The NP has its roots dating to the summer of 1864 when President Lincoln signed the railroad's creation by an Act of Congress and the Northern Pacific Railroad Company was born. Northern Pacific, "Main Street Of The North West"
Construction on the new company began seven years later in 1870 and would roughly follow the expedition of Lewis and Clark who originally chartered the western territory in the early 19th century. In early 1881 Northern Pacific civil engineer Virgil Bogue discovered Stampede Pass and it was eventually chosen as the most cost-effective means of crossing the daunting Cascade range. While the railroad had a route opened to Seattle by 1886 it had yet to complete the tunnel, thus requiring the use of brutal switchbacks to scale the area. These switchbacks were as steep as 5.6% (meaning a rise in elevation of over 5 1/2 feet for every 100 feet traversed) in some areas. 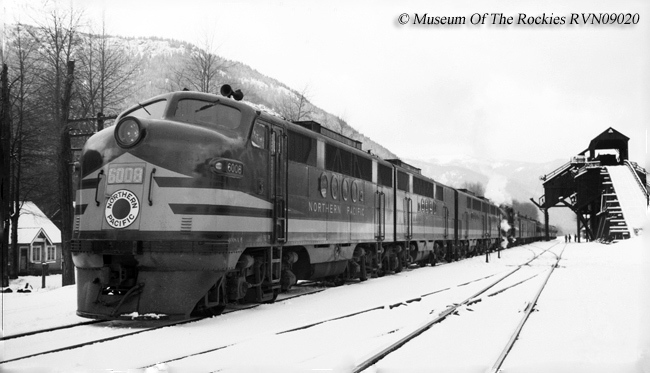 To hoist freight and passenger trains over the pass the Northern Pacific purchased two massive 2-10-0 Decapods, the heaviest and most powerful steam locomotives in the world at the time. Listed as Class M on the railroad's roster they carried the road numbers 1 and 2 and were built by Burnham, Parry, Williams & Company. They weighed more than 135 tons and could produce nearly 35,000 pounds of tractive effort. Work on the Stampede Pass Tunnel began in January, 1886 with contractor Nelson Bennett winning the contract to bore the tunnel under the pass. While work on the tunnel started slow the state of art equipment Bennett used on the project, including air compressors, drills, narrow-gauge steam locomotives, and even an electric light plant allowed things quickly picked up whereby at one point up to 16-feet of new tunnel was being bored every day. With more than 300 workers employed on the project it took just 2 1/2 years to complete the 9,850-foot long tunnel in May, 1888 (it opened officially on May 27). For more reading about the pass please click here. 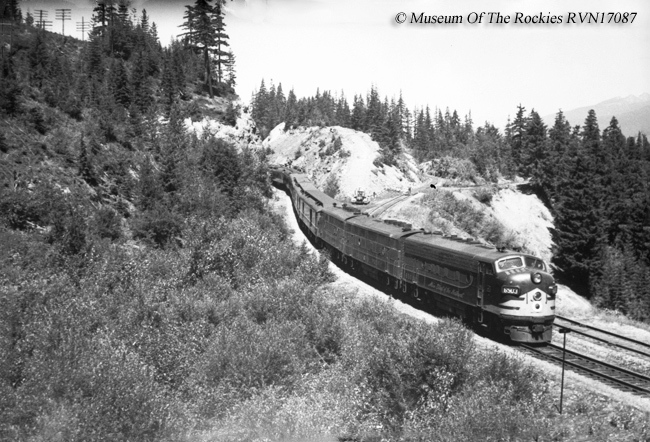 With the Northern Pacific now open all of the way to Seattle it also meant the dangerous switchbacks could be close although the railroad continued to use them for maintenance purposes for a short time afterward when the tunnel work was being done. Overall the tunnel carried a maximum grade of 2.2% from both its eastward and westward approaches. Just over 20 years after the tunnel was opened NP looked to have it double-tracked which was completed in 1915. Of note for historical reference, while the tunnel carried a respectable grade the Milwaukee Road's Snoqualmie Pass directly to the north would be the West's best engineered route over the Cascades with a maximum grade of just 1.7%. In the 1980s then Burlington Northern considered Stampede redundant with falling traffic levels and closed the pass to save on maintenance costs. For additional reading about Stampede, and other notable mountain passes, please click here. However, between 1995 and 1996 successor Burlington Northern Santa Fe spent millions to reopen the pass and today it acts as a relief valve for the increased tonnage coming from the Port of Seattle. A good book on the history of Northern Pacific through the narrative of someone that worked for the company is Railroad Shutterbug: Jim Fredrickson's Northern Pacific by author Jim Fredrickson. Published by Washington State University the book provides a pictorial history of the NP's western lines where the author worked beginning in 1943. You will see photos of steam locomotives and early diesels, as well as learn now the NP operated out west during that time.